People with diabetes may have a higher risk of developing hearing problems than those without the disease. This is because sustained high blood glucose levels from uncontrolled diabetes can eventually damage the small blood vessels of the body…resulting in eye, kidney, and nerve diseases. Since hearing depends on these small blood vessels and nerves, researchers are increasingly convinced that diabetes can cause ear damage and hearing loss. Research literature is limited regarding the effect of diabetes on hearing loss. However, knowledge of the anatomic dissection of all compartments of the ear reveals a rich network of vasculature, all of which are vulnerable to the detrimental effects of prolonged elevated blood sugar. Nerve damage. High blood sugar can damage the nerves that send signals to your ears. A poor signal can limit your hearing or understanding of speech. Keratin. People with diabetes may lack keratin, a protein that helps protect your ear canal. Too much or too little keratin can lead to hearing problems. Tissue sensitivity. Diabetes might make your ear tissue overly sensitive. The plastic covered hearing aids might bother your ears. Wearing an aid can also limit air circulation, which could lead to more irritation or infection. A 2008 national study, found a higher prevalence of hearing damage among diabetics (21%) than non-diabetics (9%). The degree of hearing loss ranged from mild to moderate, was generally difficult to detect without a hearing test, but inflicted substantial limitations on communicating. The strongest association between diabetes and hearing loss was noted in younger survey respondents (those less than 60 years old). This is important because hearing loss in this age group is uncommon, suggesting a connection between the diabetes and hearing loss. These findings imply that people with diabetes are much more likely to have hearing problems than those without diabetes, and the increased risk of hearing loss for those with diabetes doesn’t appear to be related to other common causes of hearing damage. The three parts of the ear anatomy are the outer ear, the middle ear and the inner ear. Sound waves enter the ear canal and make the ear drum vibrate. This action moves the tiny chain of bones (ossicles – malleus, incus, stapes) in the middle ear. The last bone in this chain ‘knocks’ on the membrane window of the cochlea and makes the fluid in the cochlea move. The fluid movement then triggers a response in the hearing nerve. When your hearing is working normally, information is being passed through the different parts of the ear to the brain. The type of hearing problem you may have depends on which part of the ear is not responding well. Outer ear or middle ear problems lead to inefficient transfer of sound. The cochlea is still working but may not receive enough information. This type of hearing loss is called conductive hearing loss. The problem is that the sound is not being conducted (transferred) well enough. 2A.Conductive hearing loss (outer and middle ear). Trauma to the structures of the ear that physically transmit sound, such as the eardrum and the bones in the middle ear, can result in conductive hearing loss, which reduces the ear’s ability to physically conduct sound vibrations. The eardrum can be damaged by chronic infection, trauma resulting from pressure changes in the ear (such as those that occur in deep-sea diving), or blunt force to the ear or head. The tiny bones in the middle ear also can be damaged by blunt force. A condition called otosclerosis, which involves abnormal growth of bone in the middle ear, can reduce the strength of the sound vibrations that are transmitted into the cochlea, thereby reducing the volume at which sounds are heard. Conductive hearing loss causes a reduction in the overall volume of sounds, but if speech can be made loud enough — by means of a hearing aid or the speaker talking louder, for instance — it can most often be understood. In many cases, areas of the ear involved in conductive hearing loss may be treated with medicines or repaired with surgery. An inner ear (cochlear) problem means that sound arrives at the cochlea, but is then not fully passed on to the hearing nerve. Also it is possible that the hearing nerve itself is not passing on information well, or fails to pass on the sound at all. A cochlear or neural hearing loss is called a sensorineural hearing loss. 2B.Sensorineural hearing loss and central processing disorders (inner ear and central hearing pathway). Damage to the inner ear or to structures along the nerve pathway is called sensorineural hearing loss because it involves either the delicate sensory hair cells in the cochlea or the hearing nerve, and sometimes both. When the nerve pathway from the ear to the brain is damaged, this is usually referred to as a central processing disorder. Unlike people with conductive hearing loss, those with sensorineural hearing loss or processing disorders may have difficulty understanding speech even when it is amplified. In fact, too high a volume can result in distortion of the speech, causing an unpleasant sound and making it even more difficult to understand. A person whose sensorineural hearing loss is caused by damage to the hair cells in the cochlea typically has difficulty hearing sounds at particular frequencies, or pitches. This is because each group of hair cells is sensitive only to one frequency, and when any damage occurs, some hair cells may be affected more than others. The hair cells nearest the entrance from the middle ear, which detect high-frequency sounds, seem to be more susceptible to damage related to aging and noise. This can lead to hearing loss in the high-frequency range, making it difficult to understand speech, which contains a mix of low- and high-frequency sounds. Hearing damage from noise exposure typically occurs in a very restricted frequency range, creating a gap in the sequence of frequencies that can be heard. The gap is usually in the high-frequency range, which can affect a person’s ability to understand speech. However, noise damage can sometimes affect such a narrow frequency range that the person may not even be aware that he has hearing loss. As we age, hearing loss occurs gradually, beginning with the high frequencies. In general, vowels, which account for the loudness of speech, are in the low-frequency range, while consonants, which provide the clarity of speech, are in the high-frequency range. Therefore, high-frequency hearing loss may not affect how loudly sounds are heard, but it can make speech less clear and, as a result, more difficult to understand. This is especially the case when watching television or listening to the radio, where speech is often fast and where visual cues, such as lip movements and body language, are not as readily available, as well as in noisy situations. 1.A hearing problem causes you to feel embarrassed when you meet new people. 2.You have difficulty hearing when someone speaks in a whisper. 3.A hearing problem frustrates you or triggers arguments when talking to family members. 4.A hearing problem causes you to attend public events or services less often than you would like. 5.Difficulty with your hearing limits or hampers your personal or social life. 6.A hearing problem causes you difficulty when dining in a restaurant. 7.You frequently ask people to repeat themself. 8.You have trouble hearing on the phone. 9.The TV is turned up very loud. 10.You seem to hear some things but not all (selective hearing). 11.Words sound dull or unclear. 12.You have trouble understanding conversations. 13.Music sounds metallic or tinny. Your ear is a delicate structure — and one that you depend on every day. So when diabetes, especially with poorly controlled blood sugar, takes its toll on the small blood vessels throughout your body, you ears are damaged, too. And while other parts of your body can accommodate for damaged blood vessels by depending on alternative blood supplies, your ear lacks that option. This means that once a blood vessel is damaged, there’s no back-up blood supply — and your hearing dulls accordingly. Along with losing your hearing, you will experience an increased risk of falling because your inner ear not only helps manage your hearing but also your sense of balance. It isn’t always obvious when you have hearing loss. Unlike profound deafness, hearing loss from diabetes is usually more mild and it can sometimes take quite a while before you realize there’s an issue. If you find yourself constantly asking people to repeat themselves, or if you find that you have difficulty focusing on a conversation when at a restaurant or other noisy public place, you might be experiencing hearing loss. People with more severe hearing loss often find ways to adapt to the deficiency by learning to lip read or simply faking that they can hear what people are saying. But that’s dangerous because the longer you go without getting help, the worse your hearing can get. Hearing loss due to diabetes is typically a high frequency sensorineural (nerve) hearing loss which can be treated successfully with hearing aids. The earlier a hearing loss is diagnosed the earlier it can be treated. Studies have shown that untreated hearing loss can have a negative impact on quality of life, and conversely, treating hearing loss has a very positive impact on quality of life. Thus for diabetics, the sooner the hearing loss is treated the better. Researchers discovered the higher rate of hearing loss in those with diabetes after analyzing the results of hearing tests given to a nationally representative sample of adults in the United States. The test measured participants’ ability to hear low, middle, and high frequency sounds in both ears. Mild or greater hearing impairment of low- or mid-frequency sounds in the worse ear was about 21 percent in 399 adults with diabetes compared to about 9 percent in 4,741 adults without diabetes. For high frequency sounds, mild or greater hearing impairment in the worse ear was 54 percent in those with diabetes compared to 32 percent in those who did not have the disease. 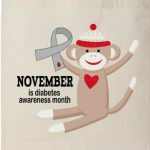 There also have been reports of sudden sensorineural hearing loss associated with diabetes, but this is extremely rare. However, there is evidence that high blood pressure may increase damage to the small blood vessels in the cochlea of people with diabetes, which could result in sudden sensorineural hearing loss. A recent study found that people with diabetes and sudden sensorineural hearing loss were more likely to have higher blood pressure, higher cholesterol, and a higher HbA1c (an indicator of blood glucose control over the previous 2–3 months) than people with diabetes but no sudden hearing loss. If you experience sudden hearing loss, you should report it to a physician, preferably an otolaryngologist (ear, nose, and throat specialist). It’s important to get medical attention as soon as possible, because specific medicines can often recover some or most of the hearing if they are administered early. Current recommendations for people with diabetes do not include hearing tests, but a yearly hearing test would provide an opportunity to monitor any changes in hearing that have occurred since the previous test and to determine whether those changes are greater than hearing changes typically expected with aging. The best way to protect your hearing from damage due to diabetes is to maintain good control of your blood sugar. That includes taking your prescribed medications, eating a healthful diet, controlling portions, and making exercise a part of every day. Steering clear of other hearing loss risk factors, such as smoking and working in loud occupations, can help protect your ears as well. Although hearing loss is not reversible, a hearing aid can help enormously. And hearing aids have come a long way in the past 20 years. Diabetic women seem to be more susceptible to developing hearing loss than their male counterparts. A new study in Detroit found the worst levels of hearing loss were found in women who didn’t control their diabetes properly. If you are overweight, talk to your doctor about a diet and exercise program. Losing weight and regulating your blood sugar is beneficial for the blood vessels and nerves in your inner ear as well as your overall health. I was amazed to learn from you article people with diabetes has a higher risk of hearing problems, I never knew the two were connected. Diabetes is becoming way too common in the world today, you are doing a fine thing educating people on diabetes and hearing problems. Very good information, I enjoyed my visit on your website very much. Its great you enjoyed reading this article and thanks for leaving a comment. The aim of this website is to provide education for people with diabetes to improve their knowledge, skills and confidence, enabling them to take increasing control of their own condition and integrate effective self-management into their daily lives. I think education and knowledge can significantly improve quality of life. Hi Momo, Loved this article! I have a family member who suffers from diabetes and she would love to read this, I shall recommend it to her, well done! Nice analgy’s and diagram/videos you put in the site, really helps to solidify your points here, so good job with that! I have minor tinnitus in my left ear so I can fully relate to some of the hearing problems! Thanks so much for the positive comments about this article. I hope your family member with diabetes finds this information helpful and you also found the post a useful resource for your hearing problems!